Pombal, city in central Portugal, will be forever marked by a major figure in the eighteenth century, the Marquis of Pombal... Pombal wanted to honor its famous citizen, with a museum that traces the milestones of his life, and presents a portrait of life in the eighteenth century. 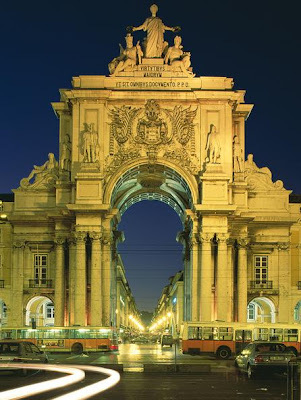 The museum is located on the Place du Marquis de Pombal, which was a former Prison. The museum occupies a landmark of the city, the former prison, located on the Place du Marquis de Pombal, in the historic center. The museum was inaugurated May 8, 1982, from the gift of antique Manuel Gameiro, a native of Pombal. The mayor chose in 2004 to showcase as it should be a treasure so important in affecting the former prison, which had lost its primary function, this new use. The new space is now much more suited to the presentation of collections, but also to the visit, a real contrast with the old space, the former convent that now serves as City Hall. The collections are presented in five themed rooms. The largest collection in the museum consists of the old books, the oldest dating from 1717. We find books criticizing or praising the work of the Marquis, after they were opponents or supporters of the leader. We also found many pieces of legislation, but also poignant documents, like those written by the hand of the Marquis. The museum is very neat. Though it is a small museum it is well worth a visit. You learn more about this pivotal time in Portugal, a time when the country wanted to modernize the country as the north, but was still prey to the most conservative factions of immobility. The disgrace of the Marquis was, to my understanding, the disgrace of Portugal, a rejection of modernity and development. But that is another story, which will be addressed one day Lusitanie.fr more comprehensive as it should.